This site is a part of Project Mailer and is sponsored by the Norman Mailer Society. This project is currently under development, so anything can still change. "Works" (v1) was completed in October 2015. "Days" (v1) was completed in 2016. 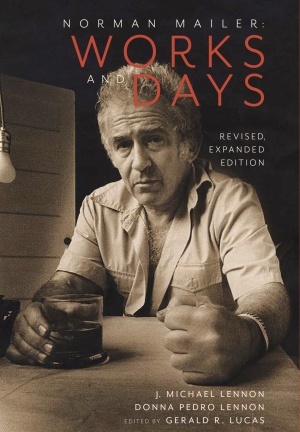 Work on the selected bibliography will run throughout 2017, leading to a second-edition of Norman Mailer: Works and Days that was just published. That said, many links may be broken to sources not yet entered. Any comments, questions, or suggestions may be submitted via our Contact page or sent to editor [at] project mailer [dot] net.